Scarlet Lady will weigh about 110,000 gross tons, be 278 meters long and 38 meters wide. 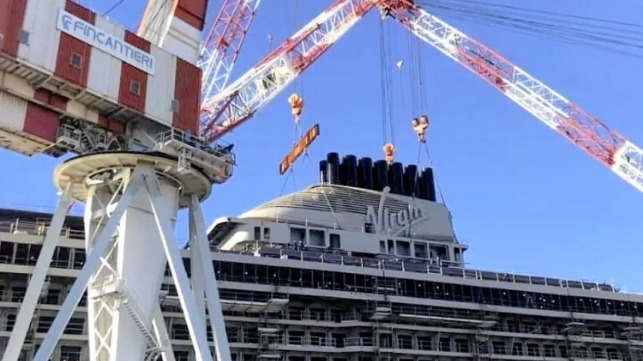 Virgin Voyages' second ship, currently under construction in the same yard, will be delivered in 2021, while the third and the fourth ships will set sail respectively in 2022 and 2023. They will all feature over 1,400 guest cabins designed to host more than 2,770 passengers, accompanied by 1,160 crew members.